The suit alleges the board of directors entered into a deal to sell Mindbody to San Francisco-based Vista Equity Partners for an amount less than the true value of the company for self-benefit. As part of the $1.9 billion sale, shareholders would receive $36.50 for each share. Less than a year ago, the stock was selling for $43.85 a share. In their latest financial performance release, company executives reported a 37 percent increase in revenue and projected continued growth. “It appears as though the Board has entered into the Proposed Transaction to procure for themselves and senior management of the Company significant and immediate benefits with little thought to the Company’s public stockholders,” the lawsuit says. If the company is sold as planned to Vista Equity Partners,12 top executives in the company would receive significant compensation for their holdings. For example, Rick Stollmeyer, co-founder and CEO of Mindbody, would get more than $58 million, Brett White over $11 million and Michael Mansbach over $4.3 million. Mindbody is a publicly traded company that sells software for managing health and wellness businesses. 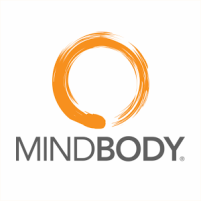 San Francisco-based Vista Equity Partners, an investment firm focused on software, data and technology-enabled business, has agreed to purchase Mindbody, according to a jointly issued news release. Mindbody’s board of directors unanimously approved the deal and recommended that stockholders vote their shares in favor of the transaction. The sale was expected to close in the first quarter of 2019, but it is subject to customary closing conditions, including the approval of Mindbody shareholders and United States antitrust approval. The suit filed by Joseph Schmit, a Mindbody shareholder, asks the court to find the proposed sale “unlawful and unenforceable” and to direct the board to commence a sales process in the best interest of all shareholders. I wonder if SLO will try to extort Mindbody like they are doing to PG&E when they close shop and leave? The new Exit Tax? Perhaps the shareholder should have sold his shares at $43.85 a year ago. Take some personal responsibility son. They are operating at a loss. Revenue can grow 37% but if costs increase by 50%, then there is no additional value. That could be his problem, he bought at $43.50 and stands to lose his shirt. At least traffic will improve on Broad and Tank Farm once Mindbody relocates to another state. Nope, the City may be ahead of the game on this one. the 12 acre mobile home park across the street is on the agenda for Heidi to vote soon on a general plan amendment to turn it into a 249 apartment and commercial center. City Housing Policy protect and encourage mobile living: staff’s practice and opinion of the policies: self explanatory. Heidi, noble champion of tiny houses. The 12 acre property is uniquely zoned and general plan designated for her vision. Heidi here’s your chance to show our community who you are. 35 years ago the Edna Islay specific plan called for the need to connect tank farm road to bullock lane to just to serve that neighborhood. The “traffic” at Broad & Tank Farm is hardly something to complain about. What, it takes you an extra 5 minutes to get somewhere? Please. On the other hand, if they relocate over 1,000 good paying jobs will evaporate from this area and take with them the tax revenue. Is a slightly shorter commute worth it? Reducing balance sheet liabilities like the $50,000,000 lease, millions of unvested stocks and or the 1300 salaries deftly may be a way to take the Mindbody profitable in no time. The Tribune reported in 2018 that Mindbody in SLO is the Key to the economy and jobs with hundreds of new 800,000 homes under construction, hope the consultants have a fallback plan.